I’m off to Dublin, with my wellies in the bag! 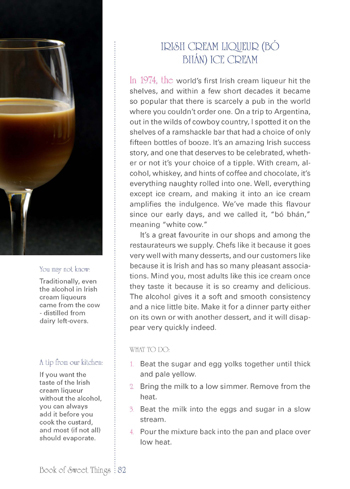 I’m half thinking, for the craic, of going to the blog awards dressed in full ice cream man regalia, including white wellie boots, which I have always wanted to wear in Dublin, and a big floppy Gelato chefs hat. Of course, it would be easier to pull off such a thing with my brother Sean (photo, right), who is fearless but sadly unable to attend. Still, it is tempting. What do you think? 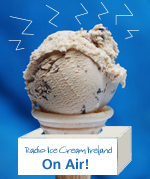 Thanks to Declan Burke who was on Matt Cooper yesterday talking about books from bloggers (a rapidly growing bunch) and kindly gave Ice Cream Ireland and our upcoming book a mention. 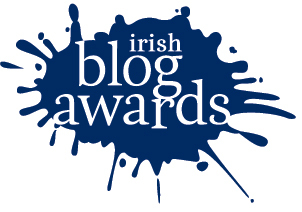 Finally, this site has made the finalist shortlist for the “Best Blog” category at the Irish Blog Awards along with Bock The Robber, Maman Poulet, On The Record, Fatmammycat.com, Beaut.ie, Twenty Major, Gingerpixel, Irish Flirty Something, Grannymar. I’m thrilled to be among such an impressive bunch! I’m in such a good mood! 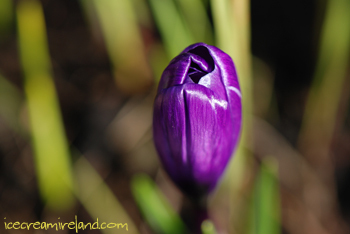 The sun is shining here in Dingle, this morning I found the most beautiful crocus (photo above) in my garden, there are daffodils popping up everywhere, and it well and truly feels like Spring! I’m happy that my friend Cynthia won an Oscar for her documentary Freeheld, and I was delighted for Glen Hansard as well, who we’ve been lucky enough to hear in Dingle on numerous occasions. And, best of all, after almost a month of grinding through yearly accounts, paperwork, and pre-season planning, I’m finally going back into the ice cream kitchen this afternoon to play (developing caramelised coffee sauce and better chocolate chunks). Things are looking up! Anyone who knows us and our shops, knows that we are incredibly obsessive about coffee. I’m not sure it’s healthy or that it makes much financial sense, for we spend too many countless hours tasting and trying to get it right. But that’s what we do. 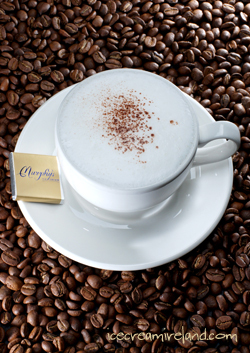 Over the years, we have made many improvements, both in terms of process and taste. We’ve also moved to a Fairtrade bean and lately organic milk. Those are steps that we feel very good about, but the trick is to keep the coffees tasting good and coming out consistent. 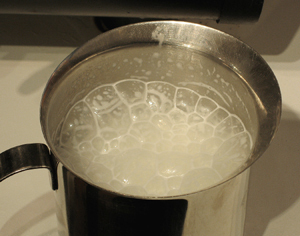 I have written here about the difficulties of milk in the winter – how the lack of protein makes it harder to get good foam. The bubbles are too large (see photo), and the foam collapses easily. This seems to be compounded with organic milk, although some days it seems that it works better than others. Customers have noticed, and they are complaining. The bottom line is this – using fresh and natural products is not always, by any means, the easiest thing to do. There are many reasons to go with the easy way – there is milk designed for frothing that is controlled for protein and froths perfectly every time. That’s really appealing because consistency is probably the most important part of keeping happy customers. The only problem is that we don’t like the taste. Let’s hope the last bit applies to cappuccinos! 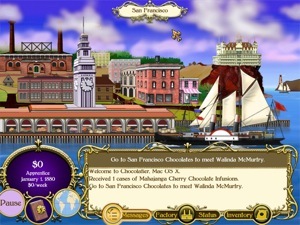 If you have a Mac, love chocolate, and want to try your skills at becoming a chocolatier, I came across this computer game: Chocolatier by Play First. 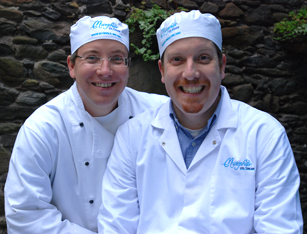 Become a master chocolatier one ingredient at a time as you travel the world to find the best prices and maximize production but dont forget about those conniving competitors who wish you poorly! Do you have what it takes to conquer the world through chocolate? Just beware of price fixing! I just booked a place at the Irish Blog Awards, which is rapidly creeping up on us, and anyone who wants to go and hasn’t booked had better get over to the awards site pronto, because it’s almost booked out!